Why would I need self storage in Hiawassee, FL? There are a variety of reasons why you might need self-storage in Hiawassee, FL. How much is a storage unit in Hiawassee, FL? The cheapest storage unit in Hiawassee, FL is $31.00 per month. What size storage units do you have available in Hiawassee, FL? In Hiawassee, FL we have sizes that range from 5'x5' to 10'x30' to suit your storage needs. How much is it for a 5'x5' storage unit in Hiawassee, FL? The cheapest 5'x5' storage unit in Hiawassee, FL is $38.00 per month. Hiawassee is a neighborhood in the northwest part of the Orlando metropolitan area. Located in Florida's Orange County, this neighborhood puts you within easy reach of all of Orlando's biggest tourist destinations, including Walt Disney World, Universal Studios Orlando and SeaWorld Orlando. However, Hiawassee is removed enough to offer some breathing room from crowds and tourist traffic, making it a cozy home base for many families. There's no shortage of entertainment and amenities in Hiawassee, especially because it provides such easy access to the greater Orlando area. Between 20 and 30 minutes from Walt Disney World, Universal Studios and downtown Orlando, this neighborhood offers the appeal of suburban living in a location that's slightly removed from the city's busiest destinations. The Orlando metropolitan area as a whole is a popular relocation destination for young, single career starters, while the Hiawassee area in particular is more family-oriented. If you are moving to the area with young children, you can be confident that there are plenty of family-friendly amenities to take advantage of. Plus, because of the high population of families, your child will likely find plenty of friends right in your own neighborhood. Orlando has a lower-than-average unemployment rate, clocking in well below both state and national averages. In addition, recent job growth has been moving at an impressive rate. This is good news if you're going to need a job in the area. For many Hiawassee locals, commuting to the downtown Orlando area for work is fairly common. Orlando is a predominantly white-collar city, with the majority of the population employed in jobs relating to management, administration, office work and similar fields. You'll also find a number of tourism-based jobs in Orlando, centering on the numerous well-known theme parks and attractions in the area. Orange County Public Schools operates the public schools in Hiawassee and the greater Orlando area. 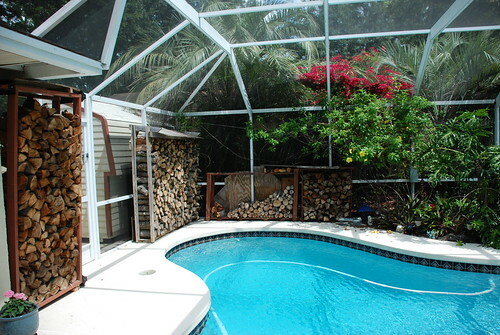 You also have many options when it comes to private and charter campuses in Orlando. If you're considering pursuing higher education in Hiawassee, you can easily travel to any one of the many campuses in the Orlando area, including the University of Central Florida and Valencia College. Utilities: The Orange County utilities department and the Orlando Utilities Commission are the primary utilities providers in the area. Garbage and Recycling: You can expect regular collection of both trash and recyclables. Transportation: Lynx is a local bus service that provides access to Orlando and its surrounding cities. If you're planning to visit downtown Orlando, you can utilize the free LYMMO transit service. The median home price in Hiawassee and Orlando is on par with the national average, but slightly higher than the state average. You'll also find rent prices to be slightly higher than average, but there are plenty of options to choose from. Our lowest priced units in Hiawassee, FL average $34.50 per month. 98 people have reserved units in Hiawassee, FL in the past 30 days. There are 2 locations within Hiawassee, FL's city limits. There are 2 locations in Hiawassee, FL that offer AC and Heating features.